Maybe you have seen the name during the last campaign: Le Clarence de Haut-Brion. It is the new name of the second wine of Château Haut-Brion. Red wine. The second wine of Haut-Brion's white is still named Les Plantiers de Haut-Brion. In general, the second wines of the First Growths have gained importance over the last years: with the prices of the grand vins exploding, people started to look for the second wines. Those got sought-after, and soon started to be released in tranches just like their big brothers. With a first tranche that is usually sold out quickly, and a second tranche that is − naturally − higher priced. Do take into account that the size of a first tranche is small. Anyway, price orchestration is something these châteaux handle quite well. It is this climate in which it was time to rename Château Bahans Haut-Brion. For my Dutch ears it has always appeared as a strange, somewhat funny name. Not at all serious, more a clumsy name. In general people had no idea how to pronounce Bahans. Poor Bahans family. They once owned part of Haut-Brion and apparently contributed to the fame of this grand château. From now on the deuxième vin honours the progenitor of the domain, Clarence Dillon, who acquired the château in 1935. Dillon died in 1979 (aged 96! ), but today still seven family members are seated in the board of Domaine Clarence Dillon, to which − since 1983 − also belong La Mission Haut-Brion, La Tour Haut-Brion and Laville Haut-Brion. 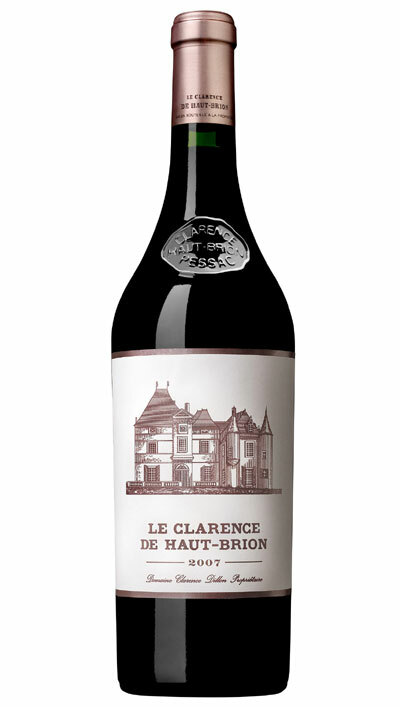 I must say: "Le Clarence de Haut-Brion" sounds good, and the new bottle also looks attractive. A few more days to go, and then I will launch my own (online) wine store. Le Clarence de Haut-Brion is one of the wines that I will offer.